Discover all our guide services of Canyoning & Trekking in the fabulous setting of Reunion Island. 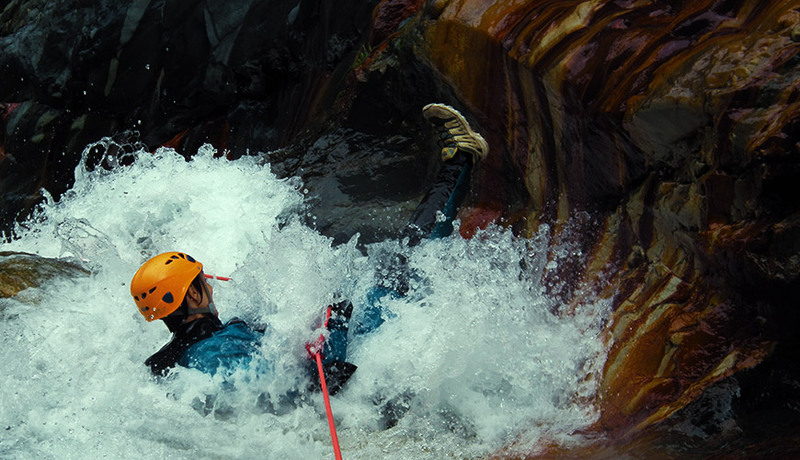 is world famous for its diversity, the beauty of its landscapes and its opportunities for technical canyoning. From beginner to expert, each of you will find an excursion adapted to his/her level. We promise you a moment of pure happiness. Mail delivery to France and abroad. A tapered edge suspended at 2000 meters altitude between the beautiful creeks of Mafate and Cilaos, this is how the edge of the Three Salazes presents itself. Walking, climbing and grandiose sets are scheduled for an unforgettable day. The atmosphere is very airy, well you practice mountain climbing; the peculiar vegetation and sea views will remind you that you are in the tropics. The required effort by an early wake up and a walk approach that is partly done by night will amaze you. Even the descent by the same route is a new discovery; because you will see the rainforest you crossed by night. From beginners to experienced climbers, this ascent will not leave anyone indifferent.